Properties of concrete are influenced by many factors mainly due to mix proportion of cement, sand, aggregates and water. Ratio of these materials control the various concrete properties which are discussed below. 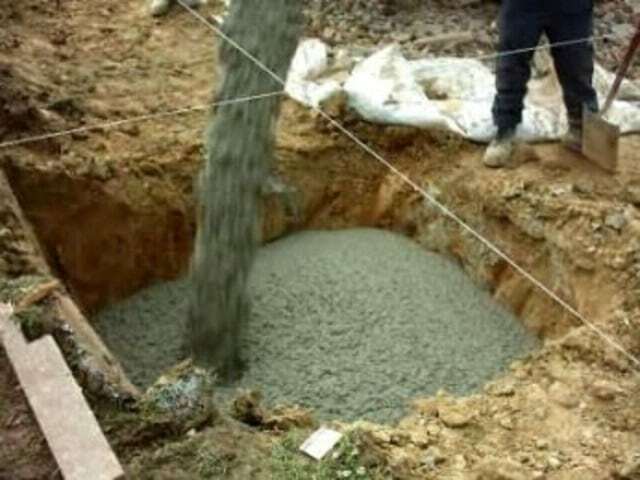 Thus, concrete is known by its compressive strength. M20 and M25 are the most common grades of concrete, and higher grades of concrete should be used for severe, very severe and extreme environments. Like load, the strength of the concrete is also a quality which varies considerably for the same concrete mix. Therefore, a single representative value, known as characteristic strength is used. The characteristic strength of concrete in flexural member is taken as 0.67 times the strength of concrete cube. The value of partial safety factor depends upon the type of material and upon the type of limit state. According to IS code, partial safety factor is taken as 1.5 for concrete and 1.15 for steel. fcr = 0.7 fck N/mm2. The tensile strength of concrete in direct tension is obtained experimentally by split cylinder. It varies between 1/8 to 1/12 of cube compressive strength. Creep is defined as the plastic deformation under sustained load. Creep strain depends primarily on the duration of sustained loading. According to the code, the value of the ultimate creep coefficient is taken as 1.6 at 28 days of loading. The property of diminishing in volume during the process of drying and hardening is termed Shrinkage. It depends mainly on the duration of exposure. If this strain is prevented, it produces tensile stress in the concrete and hence concrete develops cracks. Short term modular ratio is the modulus of elasticity of steel to the modulus of elasticity of concrete. As the modulus of elasticity of concrete changes with time, age at loading etc the modular ratio also changes accordingly. Taking into account the effects of creep and shrinkage partially IS code gives the following expression for the long term modular ratio. Where, fcbc = permissible compressive stress due to bending in concrete in N/mm2. Poisson’s ratio varies between 0.1 for high strength concrete and 0.2 for weak mixes. It is normally taken as 0.15 for strength design and 0.2 for serviceability criteria. Durability of concrete is its ability to resist its disintegration and decay. One of the chief characteristics influencing durability of concrete is its permeability to increase of water and other potentially deleterious materials. The desired low permeability in concrete is achieved by having adequate cement, sufficient low water/cement ratio, by ensuring full compaction of concrete and by adequate curing. The unit weight of concrete depends on percentage of reinforcement, type of aggregate, amount of voids and varies from 23 to 26 kN/m2. The unit weight of plain and reinforced concrete as specified by IS:456 are 24 and 25 KN/m3 respectively.